SPECIAL ARTIST VISION BUDDHA RADIATING HIMALAYAN ENERGY. Product no. 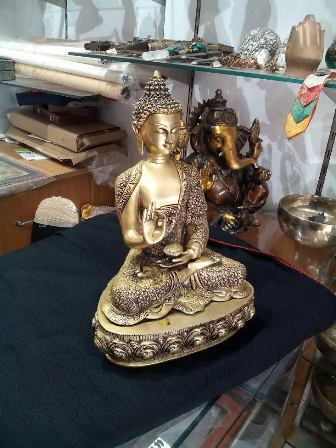 BS025 is a finely hand made Artist Vision Bronze Buddha made by our artist. The Statue is of the Blessing Healing Buddha, the Supreme Healer. He holds the Bowl hand which symbolizes the nourishment of the soul and other hand is the Blessing gesture. 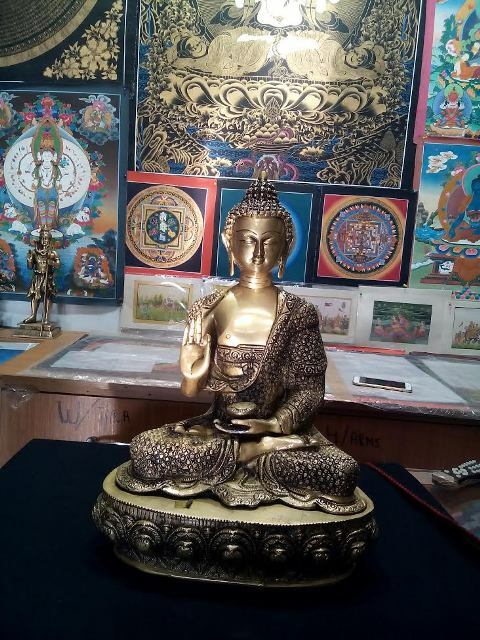 The artist of our online shop in Dharamsala, Buddha Bazaar has exquisitely captured the radiant beauty of the Healing Buddha. Enjoy this 16 inches Buddha Statue in an exclusive, Buy Now Offer. Height: 16 inches Length: 06 inches.